Testing facilities for Polymer equipment are available in our Innovation Center, located at our Piqua, Ohio, headquarters. We have both pilot-size dewatering equipment and semi-works size equipment available for testing your material in our laboratory. 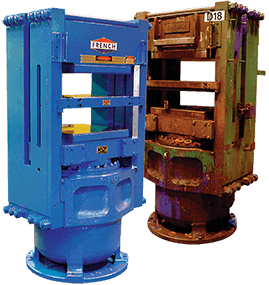 Some of our dewatering screw presses also available for rental for testing in your facilities. Our pilot-size test dewatering equipment has a capacity of 50 to 100 kg/hr and is configured to provide our Polymer Group engineers with the necessary data to accurately measure all process variables. French’s semi-works test equipment has a capacity of 500 to 1,000 kg/hr and is used when additional scale-up data is needed or when larger test samples are required by our customer. 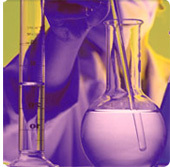 Our Polymer Group engineers have years of experience scaling laboratory test results from our laboratory equipment to commercial machines. Contact us to reserve a test date to meet your requirements or to inquire about equipment rental. Our engineers are ready to work with you to find the optimal way to dewater and dry your material. Confidentiality agreements are available to ensure that your testing will not to be disclosed to a third party. French performs laboratory testing for many customers, so we understand how important your trade secrets are to your business and we pledge to protect them.